Along with a wave of plant-based meat innovations from startups such as Beyond Meat, Impossible Foods and Right Treat, which are giving the meat industry a run for its resource-intensive money, a new plant protein solution could further revolutionise the food industry. The plant, Lemnoideae — also known as Duckweed, Lemna or water lentils — is the world’s smallest flowering plant, but between its nutrient-rich, rapidly renewable nature and its carbon- and water-neutral production process, some say it could grow to become the world’s most sustainable and complete food source. Water lentils have a unique amino acid profile similar to animal protein sources such as eggs or milk; contain a range of micronutrients, vitamins, minerals, antioxidants, Omega-3 fatty acids, calcium, folate, iron and beta carotene; and are soy-, lactose- and gluten-free. The protein also contains a good amount of Leucine, which is considered an important amino acid for its ability to aid in protein synthesis. The plant has been eaten whole around the world for hundreds of years, but now Florida-based hydroponic producer Parabel has developed a proprietary system to give the plant optimal growing conditions that allow the plant to double its biomass in 24 hours, so it can be harvested daily, with a yield per acre claimed to be many times higher than other land-based crops (the crop can be harvested three weeks from initial seeding). Parabel then processes the lentils into a versatile protein powder — called Lentein— for use in products such as protein concentrates, isolates, fibre and animal feed. The feedback from the food industry has been very favourable, with particular interest from the sports supplement sector and snack brands; LENTEIN has already won multiple awards within the food ingredient space. The product has a promising array of applications: It is easily dissolvable into beverages and smoothies, but it also works for dry mix goods such as chips, crackers, pasta and bars. Parabel recently received the GRAS (generally regarded as safe) no-objection letter from the FDA for LENTEIN, which gives the go-ahead for the company to sell into the food industry in the US. “Getting a no objections letter goes beyond our strict compliance to industry standards and reaffirms our company’s values of transparency and safety,” says Tony Tiarks, Parabel’s CEO. Apart from nutrition and functionality, Parabel says sustainability is a big reason for water lentils’ potential to rival other proteins — especially animal proteins. Parabel’s aqua farm recycles 98 percent of the water used and there is no leakage of nutrients into nearby areas. 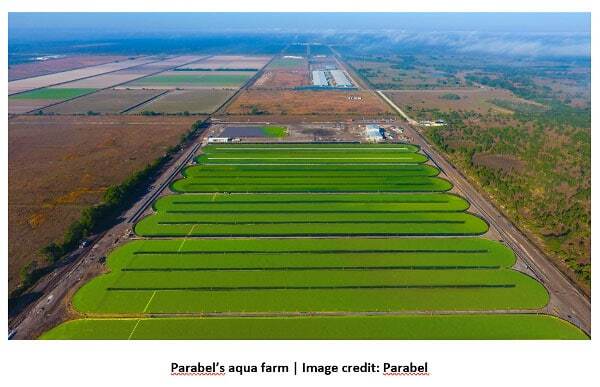 In Florida, where Parabel’s first farms are built, the trans evaporation is equal to precipitation, which means the crop could be considered water-neutral; the system is also said to be carbon-neutral, with its vast open hydroponic ponds emitting oxygen whilst absorbing atmospheric CO2. The raw water lentils are originally sourced local to the growing operation; indigenous plants provide plants already adapted to the area, and no intrusion into the local ecosystem. They are not genetically modified in any way and are grown with a minimal amount of nutrients, no pesticides and no chemicals. 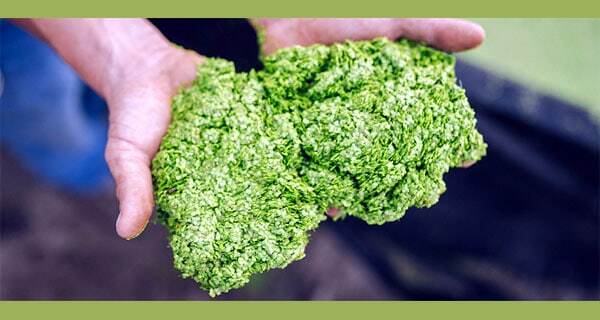 The crop floats on top of the water, so harvest is easy compared to, for example, microalgae. It is minimally processed and goes from harvest to finished product in less than 30 minutes.